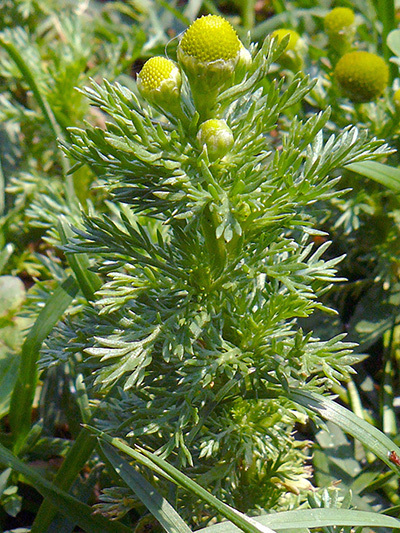 Native to western North America, the Pineappleweed is present near inhabited places. The name comes from the smell of pineapples that it releases. We can sometimes see this little plant (5 to 40 cm maximum) into cracks of concrete or asphalt in our cities and villages. Considered a weed because it spreads quickly by producing up to 5000 seeds per plant, seeds that germinate easily on the soil surface.